It was platforms like Kenya’s M-Pesa that changed the game and paved the way for mobile money innovation in Africa – and those such as Zimbabwe’s EcoCash are continuing this movement to digital cash. Established in 2011, in the first 18 months of doing business EcoCash registered 31% of Zimbabwe’s adult population – with 22% of Zimbabwe’s GDP passing through the platform. Its explosive popularity has seen the platform eclipse the traditional banks and has created a bridge between the informal and formal economies, transforming the way many Zimbabwe’s handle their money. 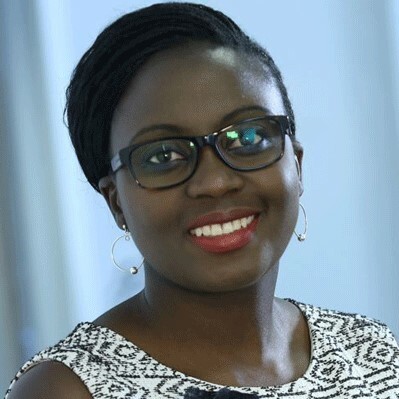 We spoke to Natalie Jabangwe-Morris, CEO of Ecocash, on the explosion of mobile money in Africa, the future of EcoCash – and, of course, who she's most excited to hear from at The Annual Debate. You're CEO of EcoCash, EcoNet's mobile payment platform. Where do you think EcoCash has had the biggest impact to date? In changing the financial inclusion stratification in Zimbabwe, to an extent Africa. Before EcoCash was launched in 2011, Zimbabwe only banked 10% of its population. 6.5 years on, EcoCash banks 80% of the adult population of Zimbabwe. We have 8 million registered customers, with these, EcoCash accounts for over 70% of the country GDP and is bigger than all banks amalgamated. EcoCash accelerated financial services distribution in Zimbabwe, beyond what local banks achieved in their 100 years of operation. We also launched the first mobile-card wallet in Sub-Saharan Africa. For these milestones, EcoCash is the uncontested recipient of the 2017 Mobile World Congress GLOMO Award – Best Mobile Payment Solution. It's estimated that six times as many people use mobile money in Sub-Saharan Africa than the global average. Why do you think mobile money has proved so popular on the continent? Traditional banking has been largely prohibitive than inclusive, with specifity to emerging markets. Financial services eligibility in Africa is largely based on the antiqauted models of collateralisation and employment. In Africa, employment is largely informal & entrepreneurial. The mass economy is not top-down, as would be constructed in developed markets, it’s bottom-up. Bankers have missed out on those portfolios of the unknown, completely failed to profile and rearrange them to offer services through a channel that is pervasive – the mobile phone. On average, mobile phone penetration in Sub-Saharan Africa is above 70%, mobile is a ubiquitous channel for serive delivery, across multiple sectors. You're speaking on our panel The Digital Dividend: Leveraging the Power of ICT. How crucial do you think connectivity is to improving access to finance in Africa? The gains have already started to emerge. In the last 10 years alone, Africa now has a total of over 100 million active mobile wallets, this is one in every 10 adults and far exceeds South Asia, the second largest continent, by adoption of mobile payments wallets, sitting at 40 million active accounts. 60% of Africa’s population fall under the age of 25, these are the digital natives, today, connectivity will be imperative to improving access to finance for this demography. There are more mobile phones than there is ownership of toothbrushes in rural Africa, on a 1:1 ratio, tells you already, that connectivity is priority! Nothwithstanding cable access to the internet, this will inevitably drive new ways of commerce and affordability in new access to services, electronically. You're one of the youngest CEO's to run a mobile money business in Africa. What has been most exciting about leading EcoCash? EcoCash has a very young, dynamic and talented team. Driven on a culture of disruption, ability to fail fast and empowered to experiment, responsibly of course. This has been by far, the most rewarding experience. We execute swiftly, and are passionate about transformation, today! We get our thrill form seeing how impactful our solutions are at market. Needs must! A sheer belief in solving challenges through meticulous application of technological solutions. It’s my first job in Africa, after developing my financial technology career in retail and investment banking across Europe and the US and to come home and replicate world class, in Africa, has been ultimately fulfilling. Ecocash already enables its customers to transfer money, pay for goods and services, access loans, buy airtime – where are you looking to take EcoCash in the future? Difficult question, there is infinite opportunities in fintech, particularly on the African continent. Banks have dominated for too long, but I doubt they know well enough how to analyse unfamilair profiles, productise and monetise, aptly. A convergence of connectivity, telecoms data profiling for financial services offering, opens up other unchartered domains – for example, targeted credit. Beyond this, access to markets, if you have a wallet you must be able to pay regional, at most, global. Admittedly, foreign exchange regulation remains a challenge across Africa, but who knows what blockchain will deliver in solving for this. All speakers, actually! I love to learn anew. So, really looking forward to all interactions. Hear more from Natalie Jabangwe-Morris, join us at The Annual Debate 2018, where Natalie will be speaking on our panel The Digital Dividend: Leveraging the Power of ICT.